The most popular wedding cake flavors include fruit-filled options, such as strawberries, raspberries, and lemon curd. 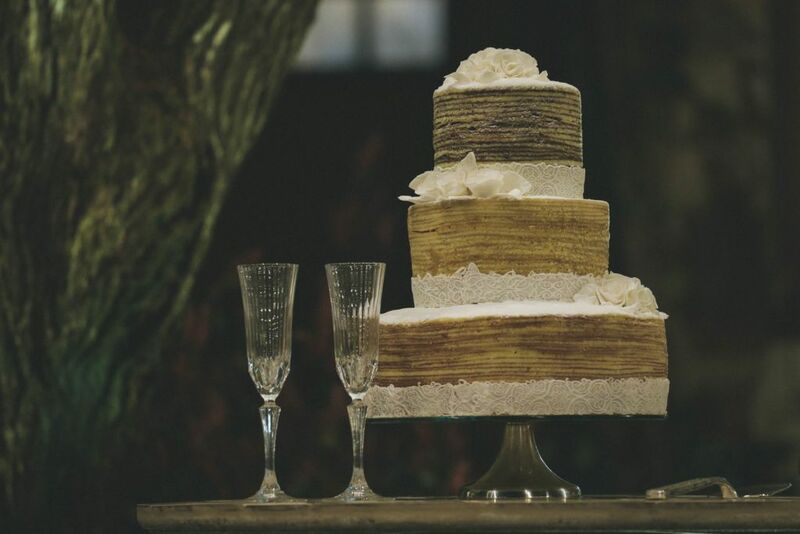 Dense cakes are also in the wedding cake pantheon, such as chocolate-salted caramel cake, carrot cake, and pound cake. Yet another super-popular trend is cakes covered in rolled fondant. Such cakes are delightfully, perfectly-smooth and are very versatile in regards to decorating. However, fondant isn’t known for tasting awesome, so you may want to skip it. Another common wedding cake flavor? Red velvet. The hue ideally represents love and romance, plus it’s usually paired with yummy cream cheese frosting. Whatever else, remember it’s your cake so what you want goes. You can always commission a beautiful cake for ceremony purposes and order sheet cakes featuring favorite flavors. If you don’t like the cake, why bother? Get creative and enjoy the wedding cake tasting process–it is one of the most fun parts of wedding planning!